Unpredictable & unapologetic, YISSEL (AKA the DJ FKA YSL… how about that for acronyms!) is disrupting the music scene. With an extensive knowledge and deep appreciation of music, she understands how to embrace different genres (both vintage and modern) to seamlessly blend house, hip-hop, R&B, or any genre she desires, in any given set. Her extraordinary ability to be a surprising sound selector and music risk taker makes her a sought-after presence in the nightlife scene and paved the way to her global recognition. 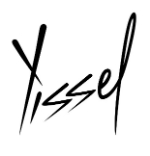 From Marrakech to the Magic City, YISSEL has graced the turntables at the most exclusive venues and elite nightclubs. When not jet setting, you can find her spinning at her resident hotspots, poolside at Hyde Beach, E11even or LIV Miami. Considered the “It-Girl” DJ for A-list affairs, she is an influencer sought by national and global brands such as Christian Louboutin, Porsche, and Moet Chandon for special events throughout the year. And of course, selected to soundtrack exclusive events for Film Festivals, Fashion Week and the go-to DJ for every Art Basel bash. Don’t underestimate the talent packed into this fierce five-foot package, who has performed alongside some of the biggest names in music before massive audiences in festivals and large-scale events across the world. Her style, often described as “bridging the gap between commercial and cool”, achieves what very few DJs can, the talent to please both the mainstream and the underground crowds. In a saturated world of Electronic Dance Music, YISSEL is changing the scene, curating music based on style not trends and pioneering the new evolution of EDM she calls Eclectic Dance Music.